Dru Rayne and her uncle fled to L.A. after Hurricane Katrina; but now, five years later, they face a different danger. When Joe Pike witnesses Dru's uncle beaten by a protection gang, he offers his help, but neither of them want it-and neither do the federal agents mysteriously watching them. As the level of violence escalates, and Pike himself becomes a target, he and Elvis Cole learn that Dru and her uncle are not who they seem--and that everything he thought he knew about them has been a lie. A vengeful and murderous force from their past is now catching up to them . . . and only Pike and Cole stand in the way. 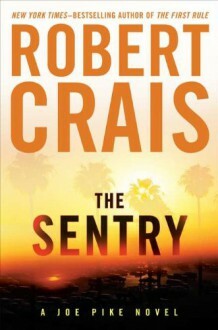 Good to see Robert Crais still keeping Pike and Cole alive and kicking! Although I have not read this series in order, I'm absolutely loving it. If you like fast-paced crime fiction, this is for you.